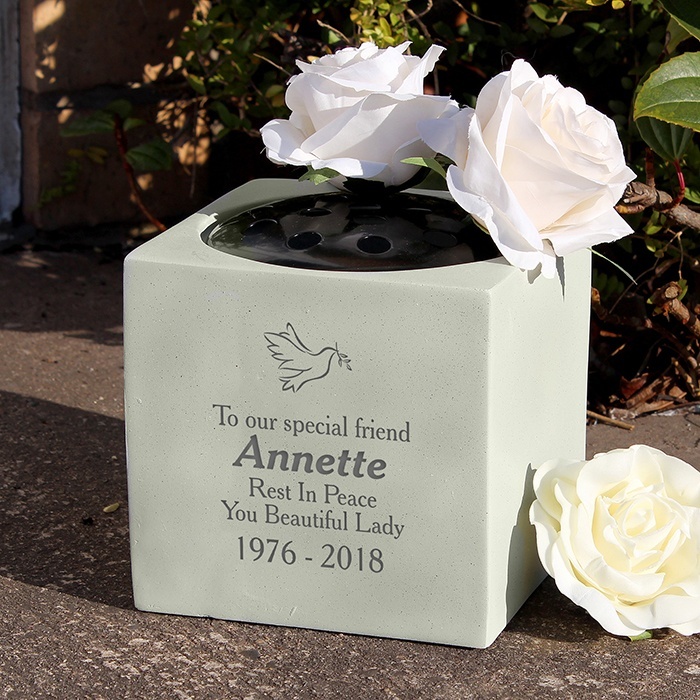 Our Personalised Dove Memorial Vase is a perfect way to remember a loved one. The stone effect resin vase includes a rose bowl to help display your flowers. 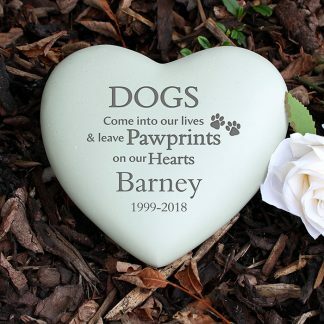 You can personalise the vase with a message over 4 lines and a date. 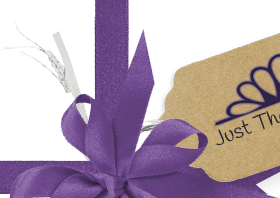 Due to the font type used please refrain from using all capitals in your personalised message, also emojiâs, characters, accents and special symbols will not appear on your personalisation, as the process does not allow for these. The vase is made from resin. Due to the manufacturing process, there may be some imperfections. Rose Bowl top to help display your flowers.